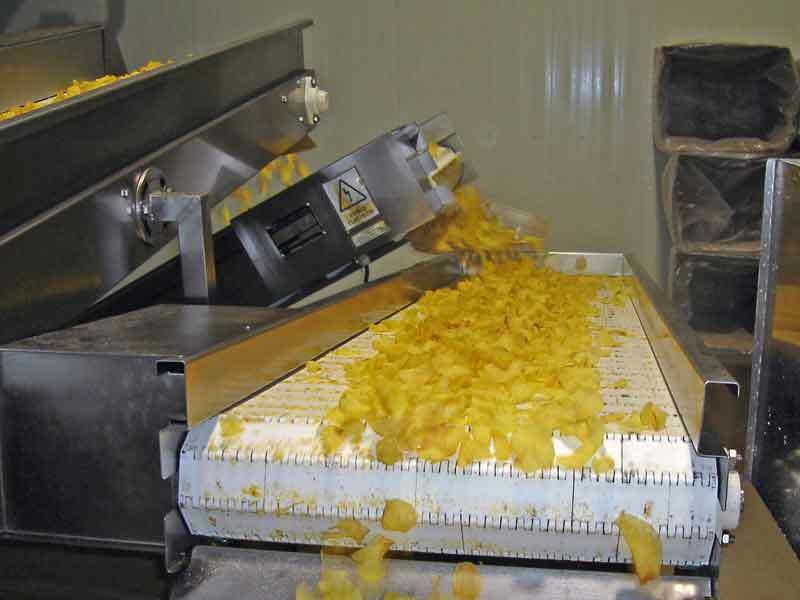 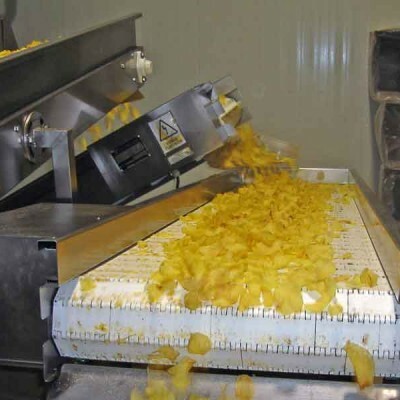 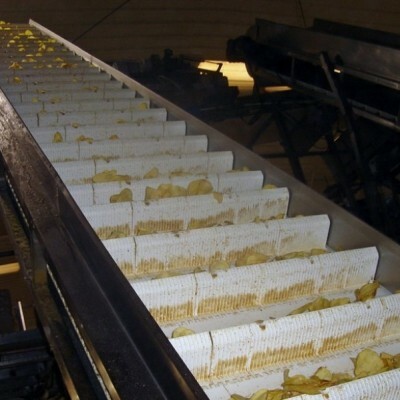 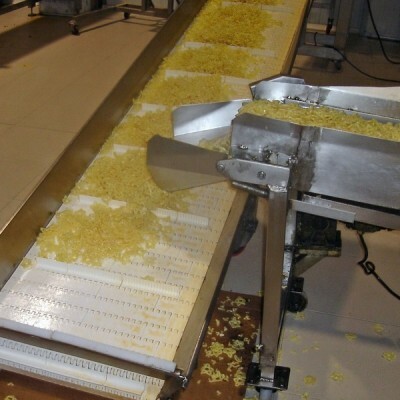 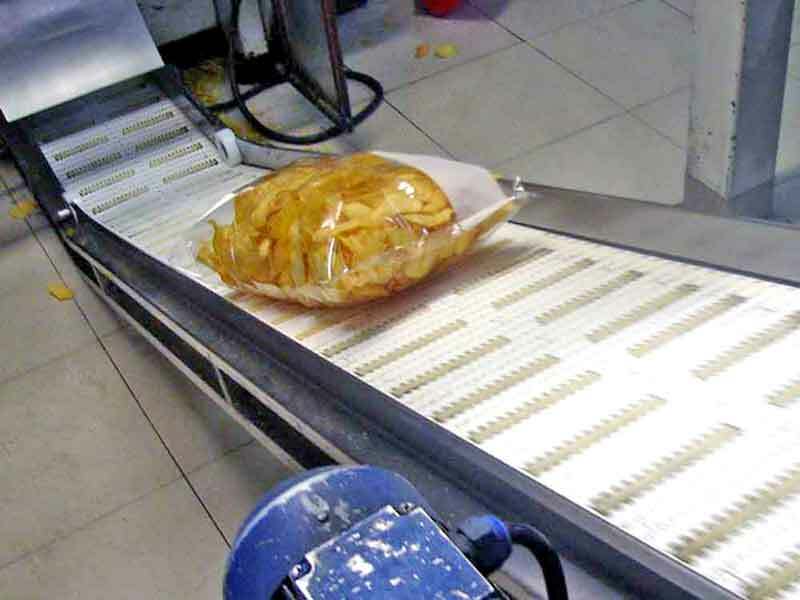 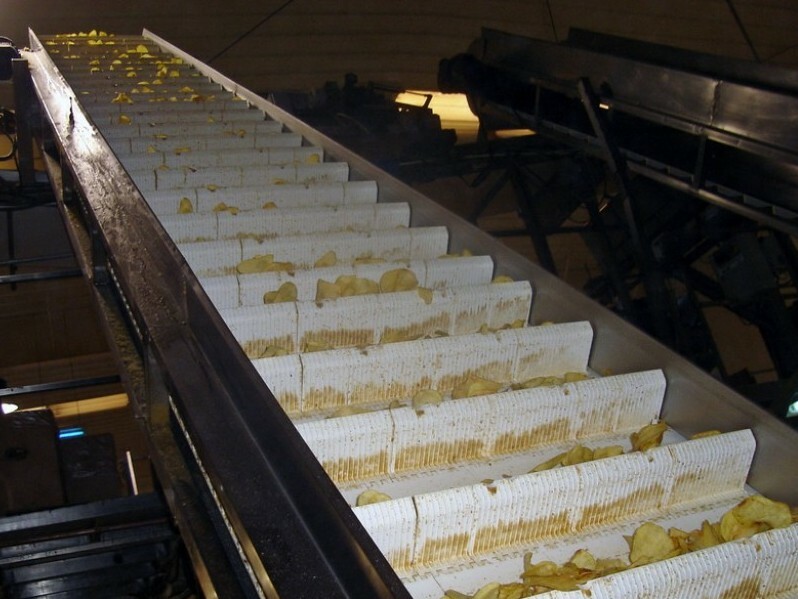 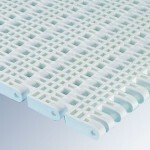 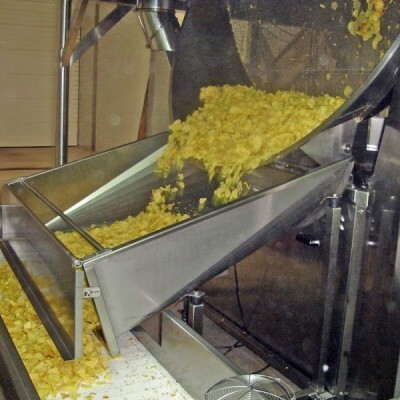 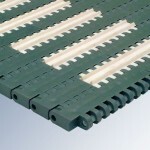 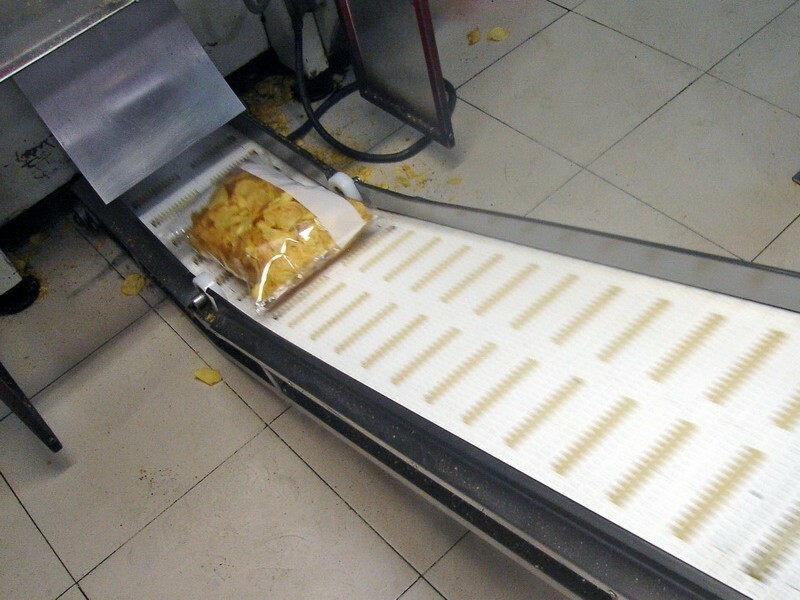 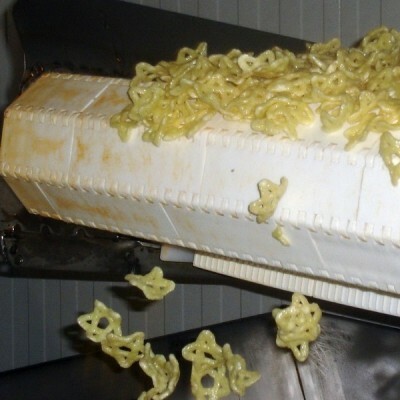 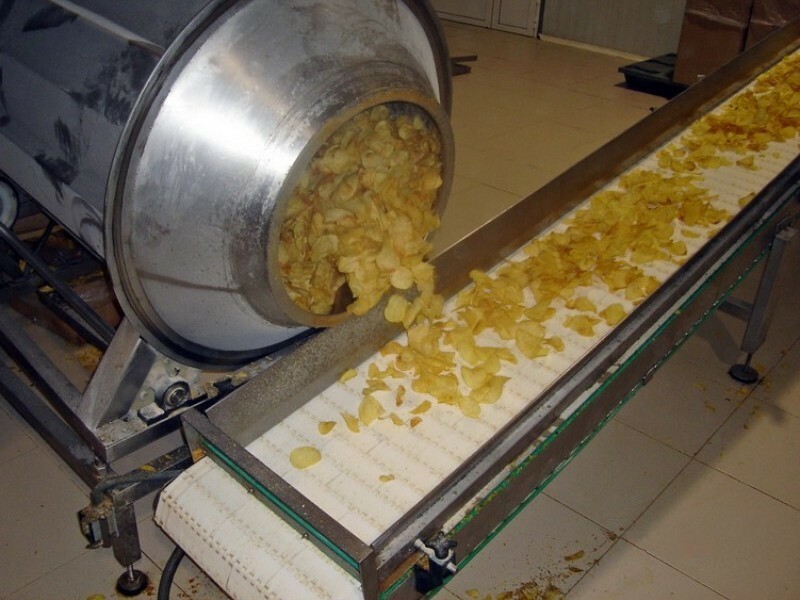 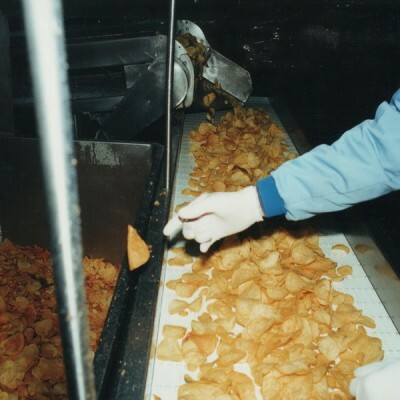 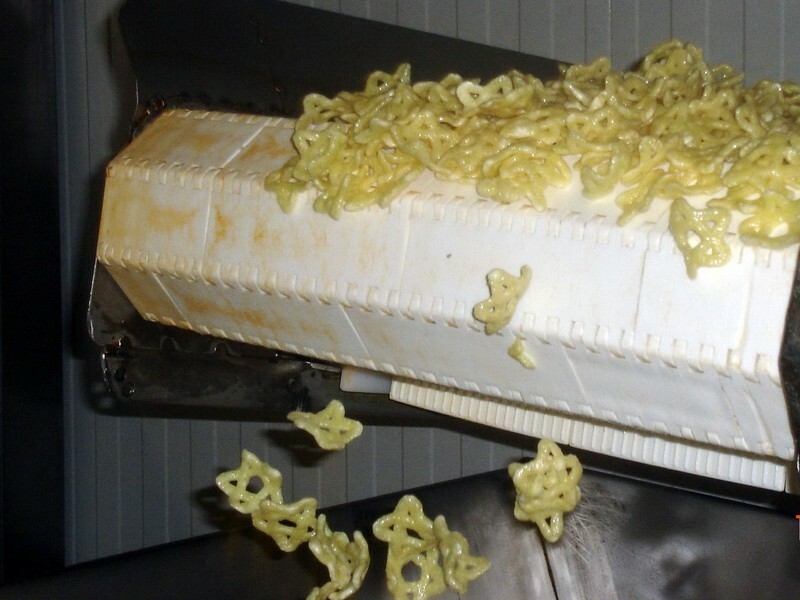 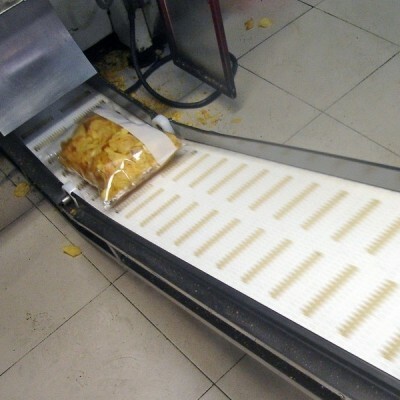 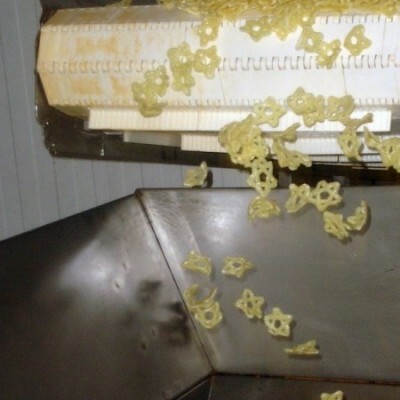 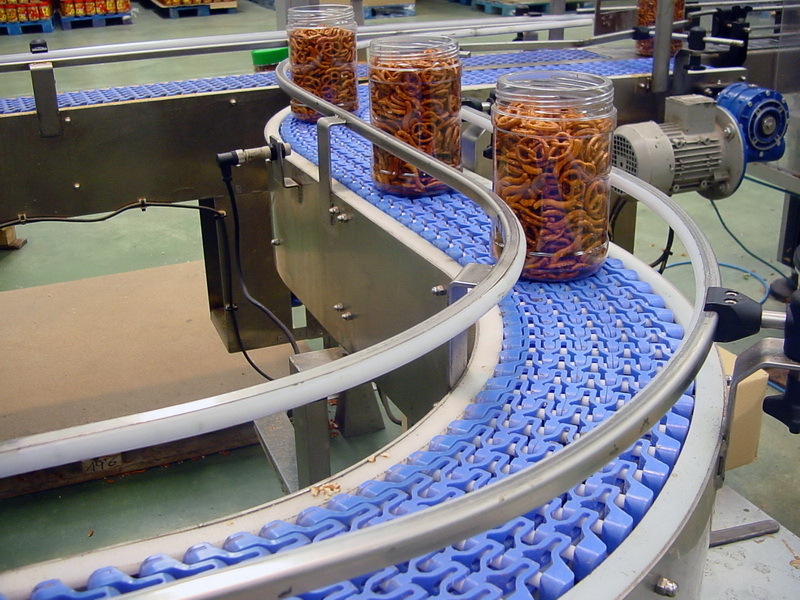 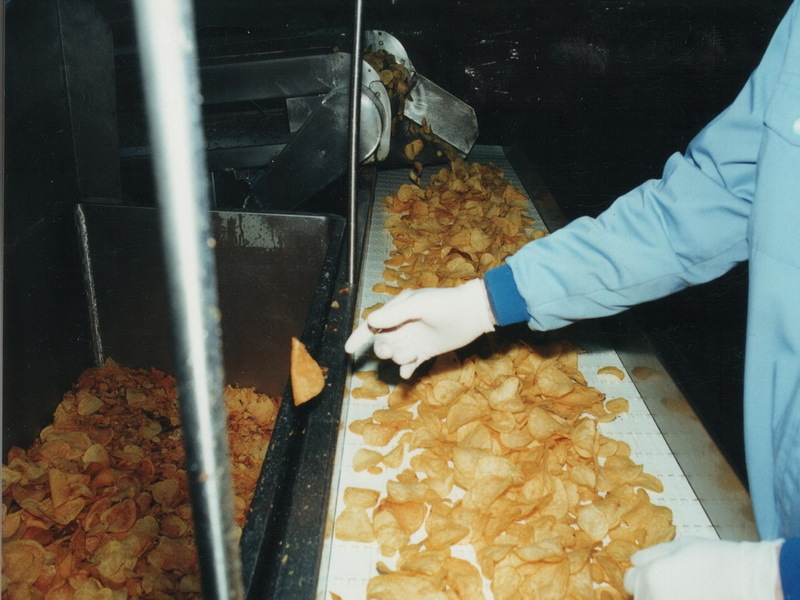 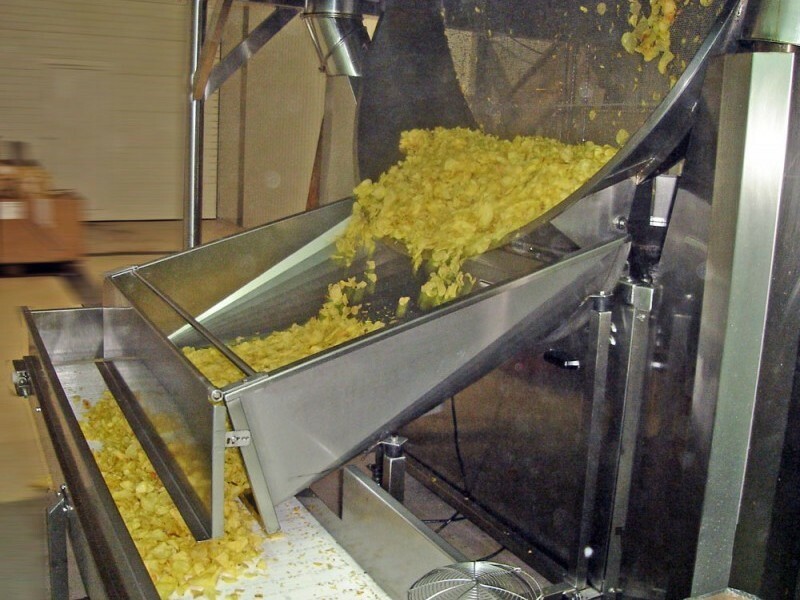 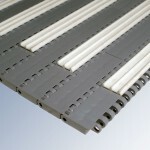 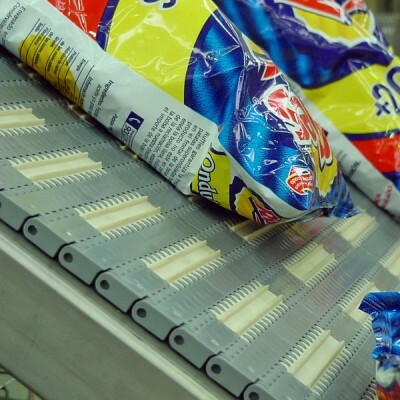 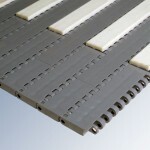 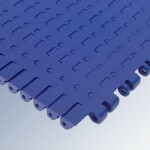 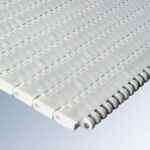 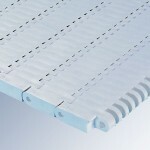 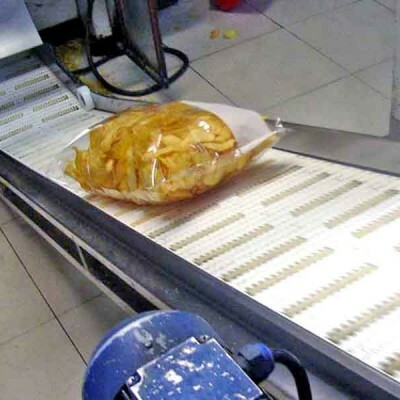 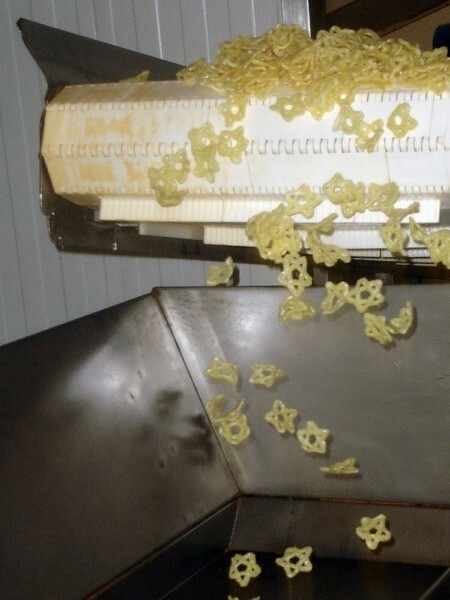 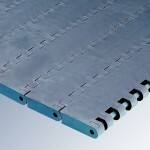 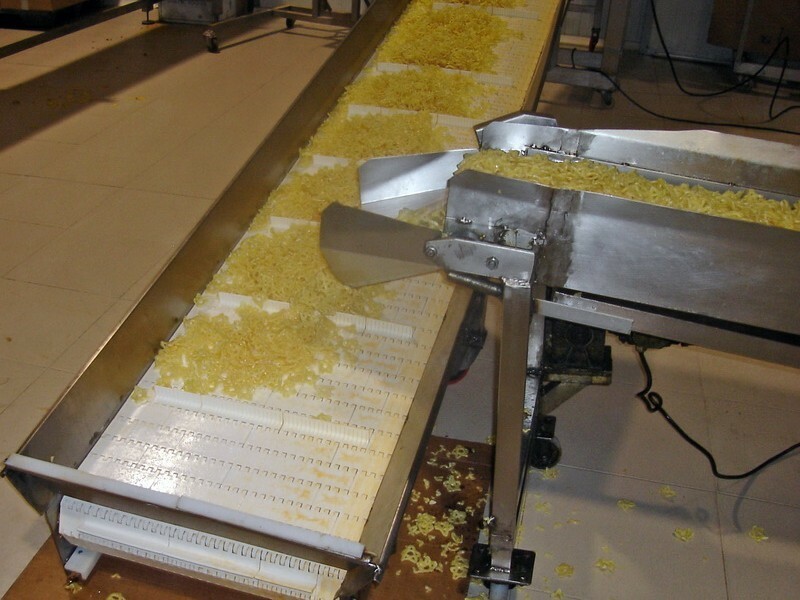 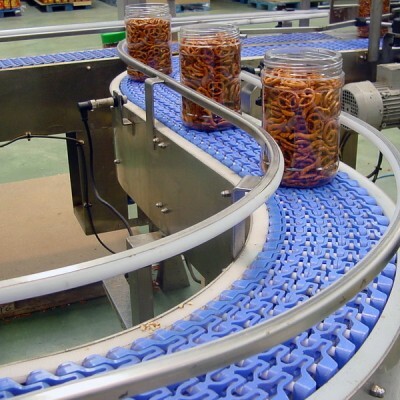 In the snacks industry the conveyor belts are an essential part of the production on a large scale. 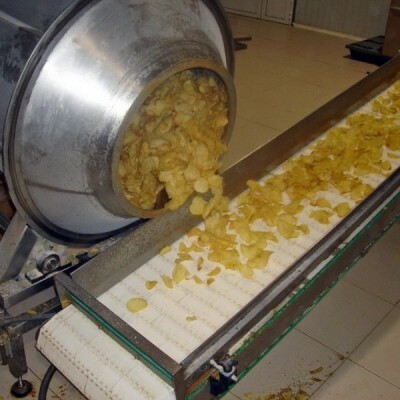 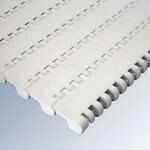 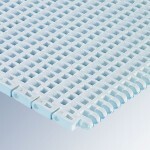 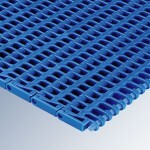 The product in bulk is conveyed at the same time that it is processed, until the final product is obtained. 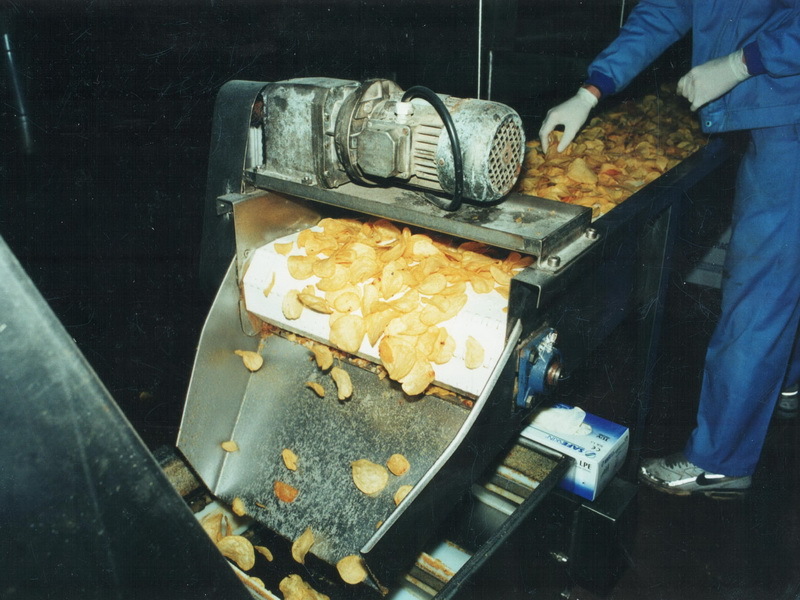 So, if we talk about a potato chips line, the potatoes coming from land will be collected, washed, and carried to the peeling-cutting machine by our plastic modular belts. 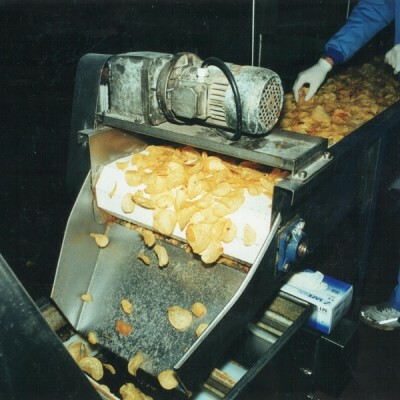 Once they have been cut, we will convey them to a bath to regulate their starch. 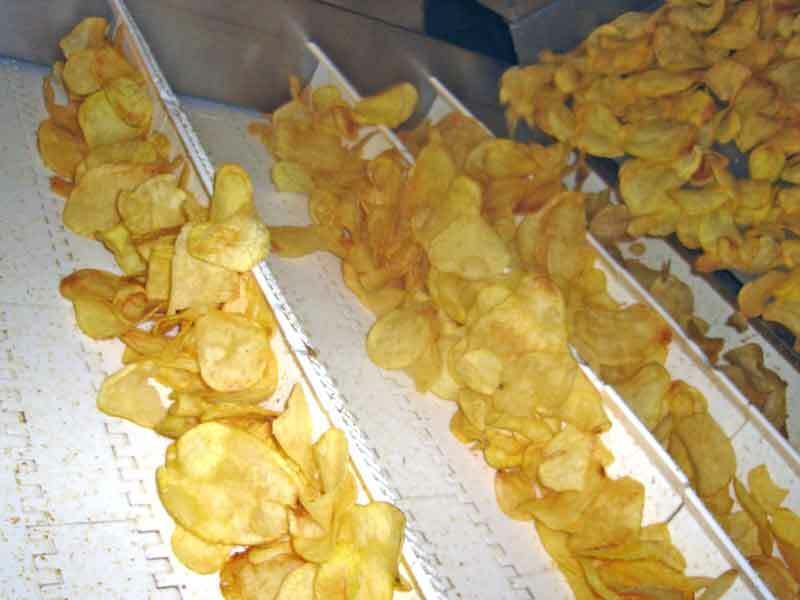 When they have come out from the fryer we will transport them as they are salted, or some flavours are added, to carry them later on for their weighing and bagging. 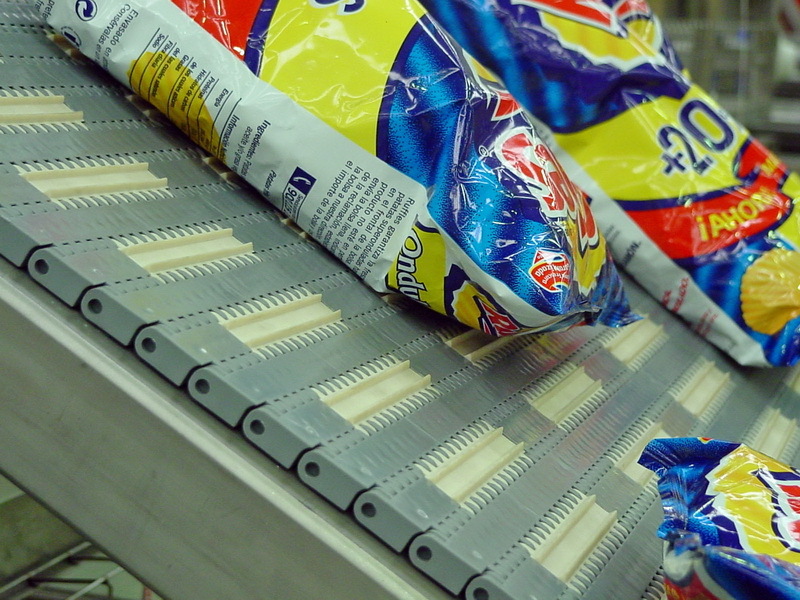 Likewise we will convey the bags for their storage. 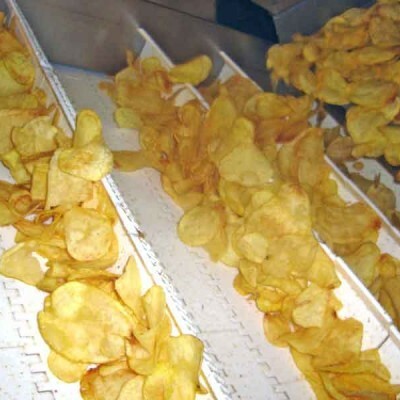 Salt and oil are present in most of the processes of this industry, which is not tolerated by the conventional belt system. 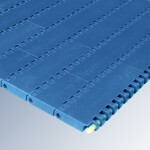 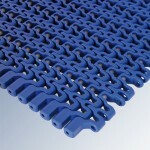 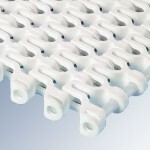 Only the modular belts, injected with plastics more and more resistant to abrasion, provide a satisfactory result for abrasive environments.